Jolanta’s research interests include EAP, corpus linguistics, contrastive semantics and pragmatics, modality and evidentiality. She is particularly interested in cross-linguistic and cross-disciplinary aspects of author stance expression in research writing. Jolanta’s PhD thesis dealt with hedging issues in Lithuanian and English research articles in soft and hard sciences. Her postdoctoral research took a wider perspective and looked at argumentation and author stance expression patterns between two closely connected science areas (Humanities vs Social sciences) as well as within them (Linguistics vs Literature and Sociology vs Economics). The cross-linguistic perspective involved the comparison of the features of Lithuanian research articles with those of research articles written by English native scholars within the same two science fields. Jolanta has conducted a number of studies into modal expressions employing both parallel and comparable corpora. 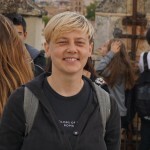 Together with her colleagues, she has investigated realizations of epistemicity and multifunctionality in English, Lithuanian, Polish, Russian and Dutch (see Publications). Jolanta regularly presents her research in national and international conferences, conducts seminars for students and researchers. She has been working on several research projects focusing on author stance, methodology for the linguistic annotation, issues of modality and evidentiality. In the current project Jolanta focuses on realizations of non-epistemic modality in different discourse types (academic discourse vs fiction vs news discourse) as well as on cross-linguistic aspects of non-epistemic modality.